Type: Top Handle Chainsaw Bar Length: 18"
Couldn't be happier with my decision to make this purchase. Runs well. Easy to start. Clear instructions! Great product works great! Thanks! chain came off cut my leg. leaks bar oil . Can really tell its "refurbished"
Never received. Seller wouldn't make it right, but ebay did. Came with plain black chain bar. Saw covered in oil and gas. Can't contact seller, item not fully functioning, but I can fix it. Fix contact. Nice saw. Add said shipping was gaurunteed in three days but it took six. Awful. Seven days late and still no product delivered. No tracking information. I though it was new. Opened the box and thought the saw was new. It was only on closer inspection that I saw a few scuff marks that had been polished over in the remanufacturing process. Put the bar and chain on as per the instruction, gas and oil, and it fired up on the third pull. Runs great. My last saw was one of the best saws made by Echo, so I'm pretty well spoiled, but so far I'm happy with this one. 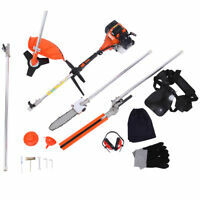 I would recommend it to anyone for light, around the house, clean up, trimming, and small to medium tree falling. Ok saw for the money. saw was what i expected, so i wont slam it , it did start fairly easy but will need some work, i dont mind tinkering with it thu , i hav 2 other really good saws. 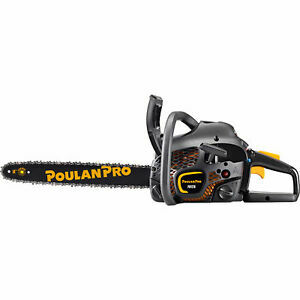 will use this 4 jobs i dont want to use my good saws on . did come with a screch and oil mix that alone is probally worth $10 bucks lol chains not great , does hav side adjustment which i like , time will tell if it holds upp . for 55 bucks ur not out much money. i plan 2 beat this saw . saw was hard 2 start when saw gets hot. 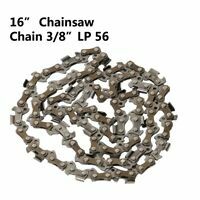 I bought this chain saw and was better than expected ,, was easy to put together ,also started with 3 pulls, also cut a cord of wood and was no problem at all ,, for a saw around the home its a great saw for the money and works very well ,, i would recommend and a great deal.